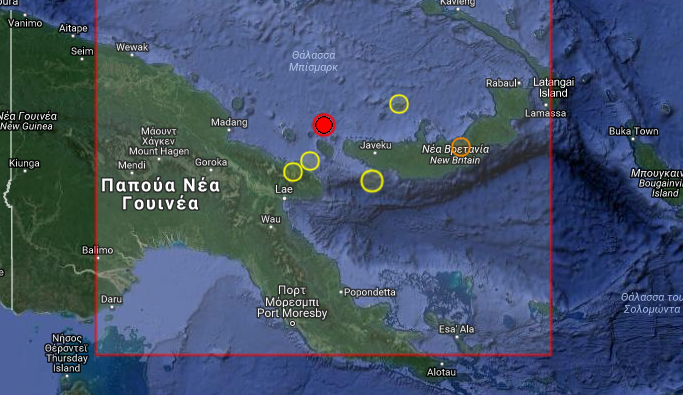 An earthquake of magnitude 5.6R has been reported in Papua New Guinea at the location shown on the map above. 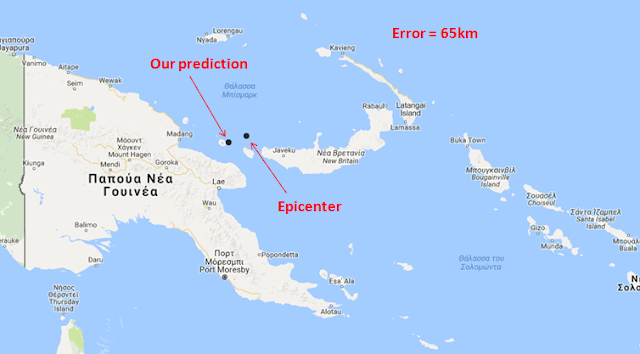 We were expecting this on the day and what is more interesting to us here is the accuracy of our prediction. Subscribers have received our prediction coordinates and for this event were (5.2S, 147.3E). The accuracy is (0.08 N, 0.56E) in degrees. This is approximately 65km from the epicenter. This by the way is not the best we have achieved. It is a result which approaches our target distance error.